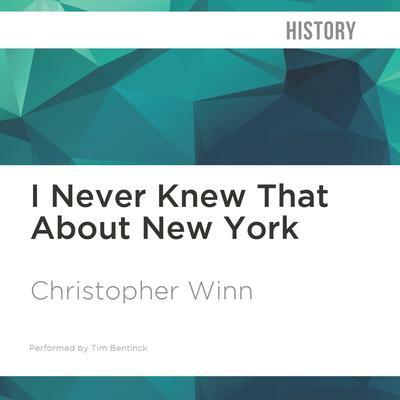 In I Never Knew That About New York, Christopher Winn digs beneath the gleaming towers and mean streets of New York and discovers its secrets and its hidden treasures. Learn about the extraordinary people who built New York into one of the world's great cities in just 400 years. 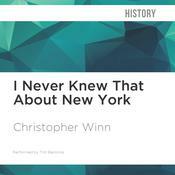 New York is one of the most photographed and talked about cities in the world, but Winn unearths much that is unexpected and unremembered in this fast-moving, ever-changing metropolis where history is made on a daily basis! 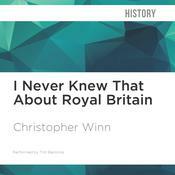 Christopher Winn's first book was the bestselling I Never Knew That About England. Volumes on Ireland, Scotland, Wales, and London followed, and he has recently published books on the English, Scottish, and Irish alongside an illustrated edition of I Never Knew That About England. A freelance writer and collector of trivia for over 20 years, he has worked with Terry Wogan and Jonathan Ross and sets quiz questions for television as well as for The Daily Mail and The Daily Telegraph. 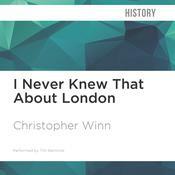 He is also the associate producer for a TV series by ITV on Great Britain, airing in 2014.